Although Apple CEO Tim Cook claimed that Apple Pay had "gotten off to the most amazing start," about two-thirds of its users are encountering problems at retail, according to a survey published this week by Phoenix Marketing International. The survey of about 3,000 people, obtained by Bloomberg, noted that 66 percent of iPhone 6 and 6 Plus owners —the only ones who can use Apple Pay at retail, until the Apple Watch ships on April 24 —have signed up for the service so far. Almost half of that group, however, is said to have visited a store listed as an Apple Pay partner but discovered that the location wasn't accepting the platform, at least at the time. Among the problem group, 48 percent said it took too long to process a transaction, and 42 percent said the cashier wasn't familiar with the technology. Some shoppers also complained about transactions being incorrect, or run twice. A separate Citi Research survey published on Monday echoed these complaints, according to Bloomberg. 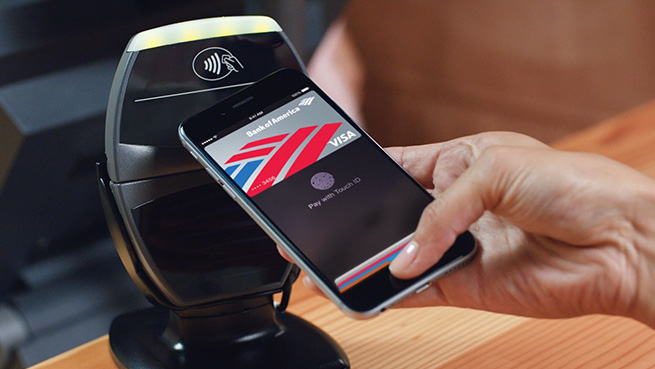 The lack of merchant support is thought to be linked to the cost of upgrading point-of-sale terminals to models that can support NFC chips like the one used in the iPhone. Although US retailers are obligated to upgrade those terminals by October anyway to support EMV chip technology (for credit and debit cards), only a third of them had switched by the end of 2014, and a projection quoted by Bloomberg only calls for half of them to convert by the end of this year.